BOSTON MA - A Boston tradition, the annual Boston Pops Fireworks Spectacular will be held on July 3rd at the DCR Hatch Memorial Shell in Boston. The WBZ News Radio 1030 simulcast begins at 7pm, and the official Boston Pops Fireworks Spectacular broadcast beginning at 8pm. The concert, featuring artists The Beach Boys, Megan Hilty, the cast of Phantom of the Opera, and the Boston Children’s Chorus, begins at 8:30pm. Fireworks kick off at 10:30pm with the show’s culmination at 11pm. Click here for more information about the Boston events for the day and the show’s featured artists. NEWTON MA - Stop by Newton’s July 4th Celebration from 1-9pm at Albemarle Field on Watertown Street. Craft and food vendors, children’s activities, amusement rides, and live entertainment make this the perfect family activity, finished off by fireworks at 9pm. There will also be a kid only event (ages 3-12) from 10am-noon at the Newton Centre Playground at Tyler Terrace that includes the Grande Pet Parade, Teddy Bear Parade, Decorated Doll Carriage Promenade, and Foot Races as well as free ice cream provided by Cabot’s and refreshments by Trader Joe’s. Click here for more information. Not going to be in Boston or Newton this year? Not to worry, the following lists outline where fireworks will be held throughout Massachusetts. Click here for information on fireworks on other days. For the rest of the summer, check out http://wicked-newton.eviesays.com/events. Just enter a calendar date for when you’re looking to find an activity and how far you want to travel; the site will then populate a list of all sorts of activities such as plays, summer camps, volunteer opportunities, classes, and more! 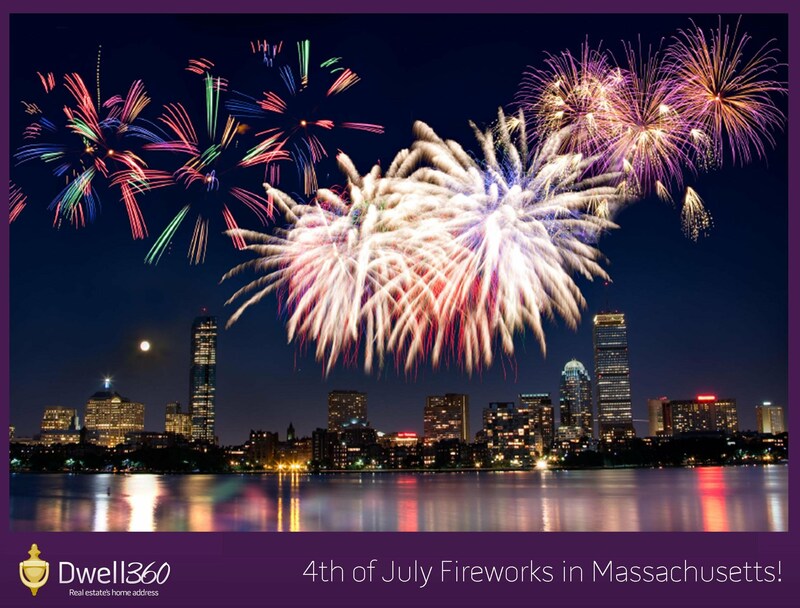 Dwell360 is a local boutique residential real estate firm based in Newton, Massachusetts, servicing the cities and suburbs of metro Boston. We have a unique approach to real estate that is customer centric and built on our extensive experience in the residential real estate market. Search for homes in Massachusetts and then give us a call.